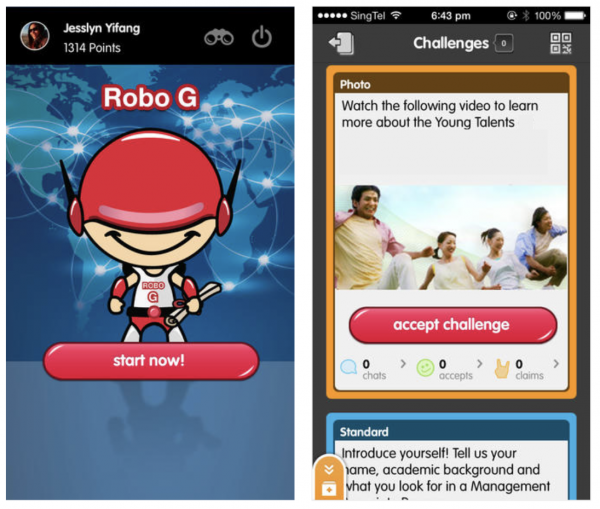 Robo G was developed for a telecommunication firm’s Management Associate (MA) Program as a solution to gamify the recruitment process of fresh graduates into the firm’s MA Program. Applicants completed text, photo and quiz challenges to earn points, while learning more about the company. At the same time, users were also given opportunities to express themselves while being assessed through their responses. 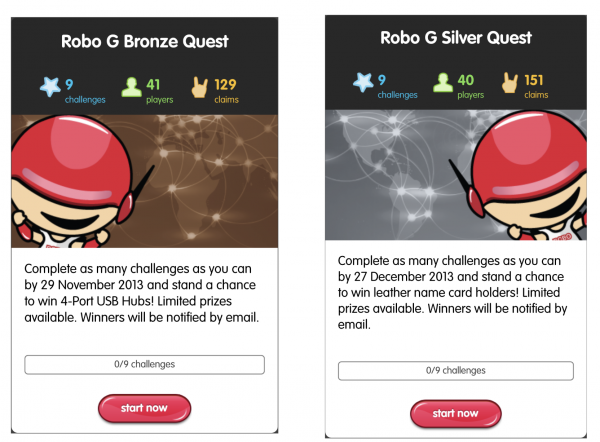 The general response from players was that they agreed that Robo G had streamlined and repackaged information and recruitment into a uniquely gamified process, with the presence of both intrinsic and extrinsic rewards motivating users to complete the respective challenges. Robo G proved to be an excellent way to educate and inform potential recruits about the company. The responsive feedback of Robo G on the Gametize platform impressed players with the “efficient and seamless experience” and contributed to high levels of interest and engagement.